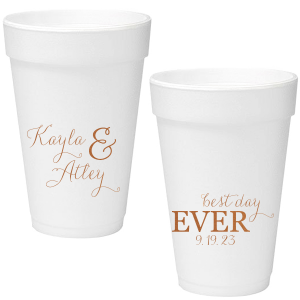 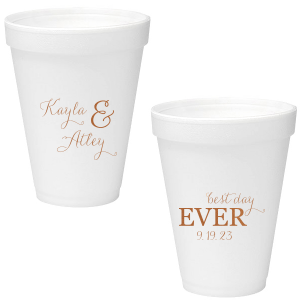 Have the best party accessories ever with these personalized foam cups. 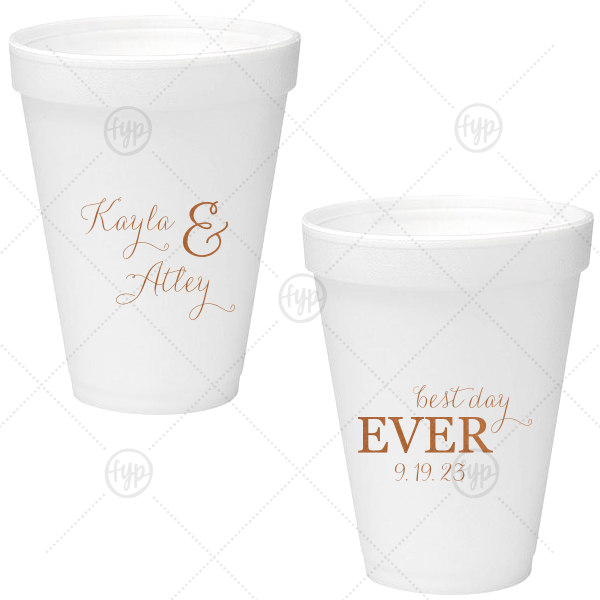 The modern calligraphy script makes for a beautiful wedding font. 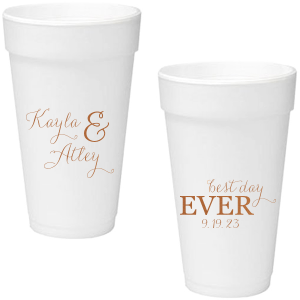 Add your new family name and wedding date for a fun drink detail that can serve hot or cold beverages!